skullboy0 on ETS shared a link to Jon Blistein's article on Rolling Stone chock full of making-of photos taken by Rob Sheridan. The video will premiere tomorrow on Vevo, and we'll probably tweet about it as soon as we know it's live. Watch a short highlight video created by Moment Factory, showcasing the visual effects from this year's How To Destroy Angels tour. HTDA's production and visual effects crew (Trent Reznor, Rob Sheridan, Roy Bennett, and Moment Factory) is the same team behind the Lights in the Sky tour. They are currently working on the design for the upcoming festival and arena dates for Nine Inch Nails, and two festival dates for HTDA. Very exciting! Kevin and Bean interviewed Trent Reznor this morning on KROQ. In the interview they discuss the upcoming album and music video, touring lineup changes, music subscription services, and a few other interesting things that are worth a listen. Read KROQ's more detailed summary about the interview here. Or go straight to the audio interview here. Thanks to @az3ink on twitter for the info! Yup, pretty big news -- Guest artists on the new Nine Inch Nails album include bassist Pino Palladino, Fleetwood Mac's Lindsey Buckingham, infamous King Crimson guitarist and previous NIN studio guest Adrian Belew, Autolux's Eugene Goreshter, and NIN camp familiars Alessandro Cortini, Ilan Rubin, and Joshua Eustis. Also familiar to the NIN camp, Alan Moulder mixed the album, Tom Baker mastered it, and Russell Mills provided artwork, with art direction by Rob Sheridan. If you want the track names, head over to Rolling Stone - we'll spare you those spoilers here for now. This news comes from Pitchfork minutes after Trent Reznor posted a photo to Twitter captioned simply "tr;dl" (You don't know how hard it was to type that correctly). Not much more to say until the video comes out! This little ad, with footage from the Lights in the Sky Tour, is making the rounds. Check it out. Dear Columbia, send me promo material - even though I've already heard the song, I won't put what you give me up on eBay. Yup, already one of the new promo CDs sold for $172.49, with a second currently active listing already up to $55 as of this posting. It looks like NIN Catalog is going to have to add a new square to their front page sooner than later. Radio stations giving away tickets to "secret NIN show"
Over on Echoing the Sound, heavenly_bearded posted a link to his local radio station, which is doing a giveaway of airfare, a hotel stay, and a pair of tickets to a "secret Nine Inch Nails show." It's one of those listen and then call to qualify types of things, and they're probably doing it at a US radio station near you as well. Posted to LiveNation's Facebook page is the following graphic is a butchering modification of the graphics being used in ads for the new NIN tour. This isn't a proper tour poster, but you'll probably see this image showing up around you in the next few days online and in print. Click the image for the full-size version. The accompanying press release has been archived here. The version on Live Nation's page removed some text (and with it, some visual balance). Thanks to AbjectMark for pointing it out! Over at Loudwire you can watch a short interview with Richard Patrick (Filter/NIN live fame) he discusses their current relationship and a possible NIN/Filter tour. The official preorder is up, with vinyl, CDs, tshirts, and 1200x1200 resolution art. Thanks to manofatom for the heads up. Go! As a musician there are many benefits to working with a record label, but one of the downsides is that you have to turn over some elements of control. Along those lines, Apple has perhaps jumped the gun and made hesitation marks available for pre-order - both as a standard album ($11.99) and a Deluxe Version ($14.99). The album tentatively has 14 tracks, and the currently associated artwork, pictured to the right, also appears to be by Russell Mills. Listen to Came Back Haunted on Vevo! Nine Inch Nails Announce Tension tour with Godspeed You! Black Emperor. Explosions in the Sky also supporting. According to Trent,“This is the full-on NIN live experience realized as we never could before.” And the stage setup is described to be "balls out." This is going to be great! Via Pitchfork and Consequence of Sound. 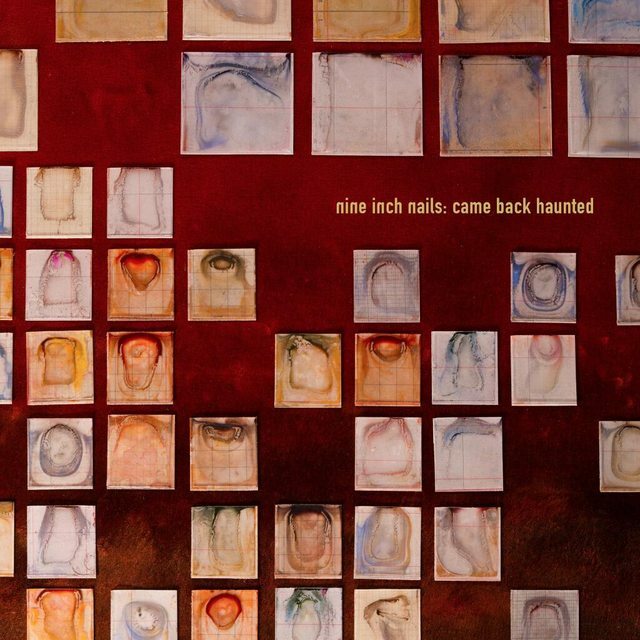 Nine Inch Nails has posted "Came Back Haunted" on Soundcloud, and posted the artwork on Twitter. The artwork is by Russell Mills, and was created specifically for the new music. 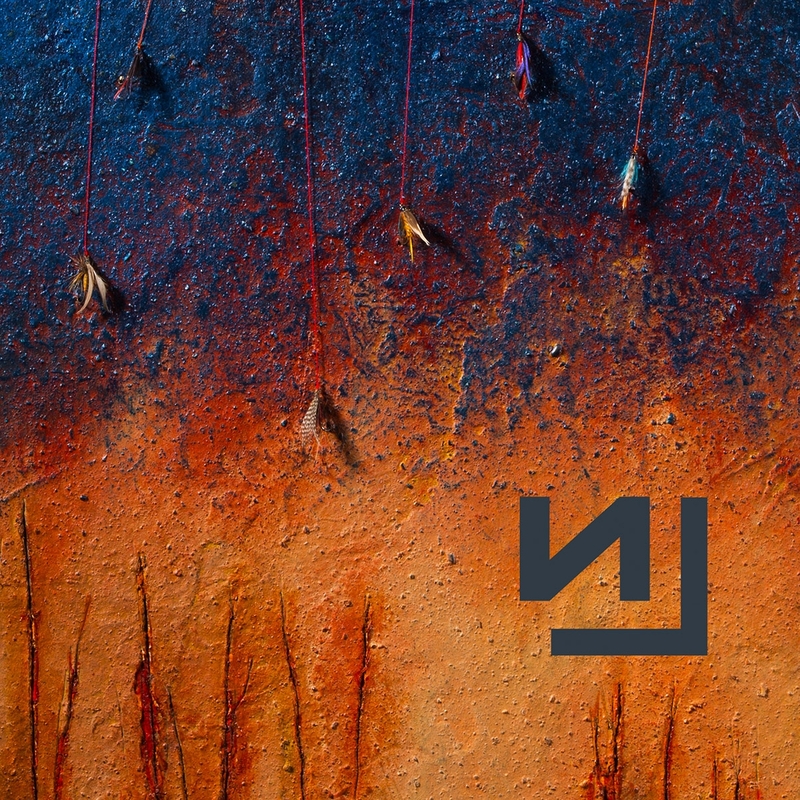 Antiquiet debuts "Came Back Haunted"
via @nineinchnails. Discussion about halo 28 ensues on echoing the sound. 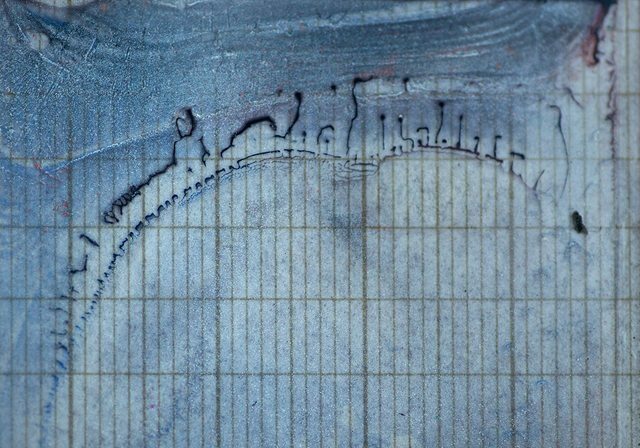 Unlabeled image posted to NIN tumblr, possible artwork? 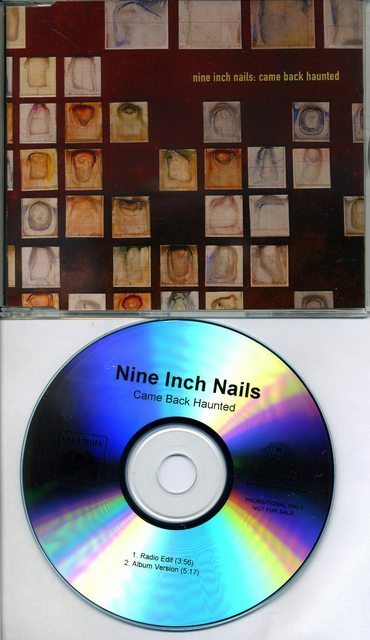 With the release of a new track titled "Came Back Haunted" taking place in the next 24 hours, it's probably a safe bet that this image posted to nineinchnails.tumblr.com is a visual accompaniment to the new song. Update: A related photo on instagram all but confirms that Russell Mills is involved in the artwork for the new album. It’s confirmed: Nine Inch Nails will release a new single this Thursday (June 6) to radio at 11:30 a.m. PDT. The new song, titled “Came Back Haunted,” “harkens back to early Nine Inch Nails,” says Lisa Worden, Music Director for Los Angeles alternative station KROQ (a Radio.com station).